You're very nice. So trend in fashion. I like... sooo much!!! nice outfits. Your dressing sense is fabulous. Love the outfits, so cute! Love all of the 5 outfits. Especially the first one with stripey pants :) Thank you for sharing Trang! I love them all but the first one is by far my favourite!! These outfits are so cute! I'm loving the striped pants and the plaid shirt...beautiful! I like the blue blouse! Love all of these outfits on you! Especially the first with the striped pants! You pull them off soo well. We are having similar weather here in SF- Super sunny and warm but then it quickly changes for the worst and gets cold out of nowhere. 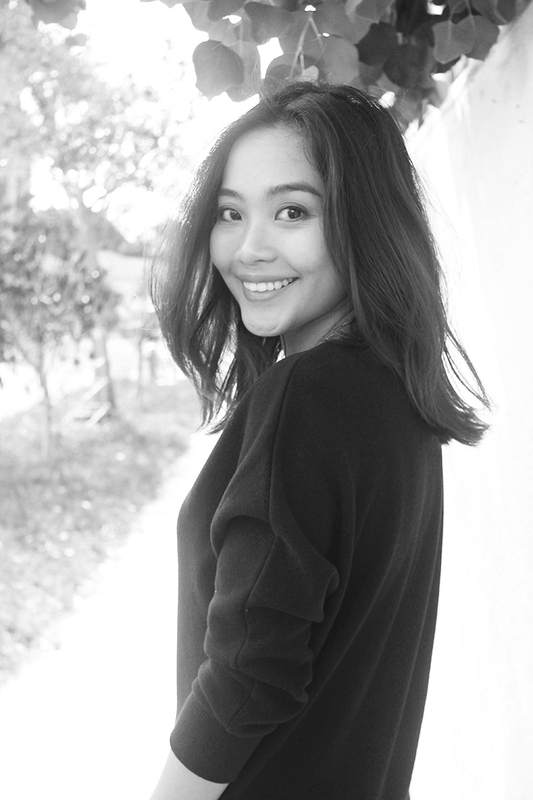 Hope you're having a good weekend Trang! Love all the outfits! I will definitely be rocking the last outfit to school. It's so comfy and keep me warm at the same time. the first and last looks are definitely my favorites. great inspiration. la fall weather seems great. Look number three with the white sweater is my fav! Love your casual chic style, very cool in a minimalist way! Love your style! Keep doing these posts, I love them! I love all of these. Such a great & helpful post for those who are super busy to plan. Loving the ensemble with the white top! Loving all your outfits, I like how you had a mix of casual and chic outfits. All your outfits look super cute! 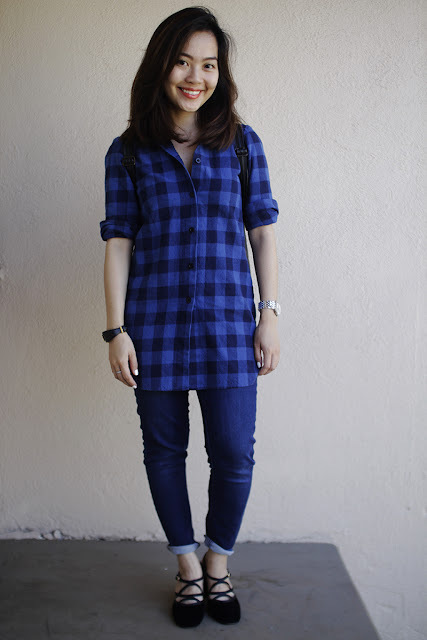 Such lovely look, Trang! You look gorgeous in all of them and I'm obsessing over that blue flannel shirt! I hope you have a wonderful day and week ahead, beauty! You have created perfect stylish looks this season. Love your Banana Republic jacket, sweater, and necklace! Have a great week! Great outfits, I especially love the green jacket and the plaid shirt!!! Oh I love your smile (Im singing), lovely post, the 1st one is my favorite,xoxo BING. I love your second outfit! 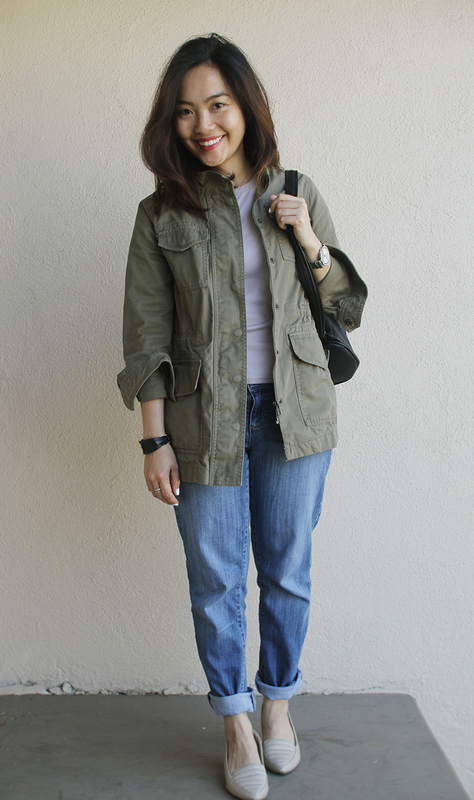 <3 The cuffed-up boyfriend jeans look great with that cargo jacket. Beautiful look. Love them all. My favorite is the first one with the cool striped pants. Love all of these looks, especially the one with the striped palazzo pants! Love all of these!! So beautiful! The first look is my absolute favorite. I love wide legged pants and that H&M pair look very comfy! I also love your Banana Republic sweater with the necklace. :) Pretty girl! So pretty!!! Love all the looks! All these outfits suit you well; you know what looks great on you! These are all so cute! I really like the plaid tunic and utility jacket! They are all great outfits!!! Gorgeous outfits! I love your jean jacket! Love the 3rd and 5th outfit! Such great outfits! I love your relaxed and chic style! Those striped H&M pants are adorable!! 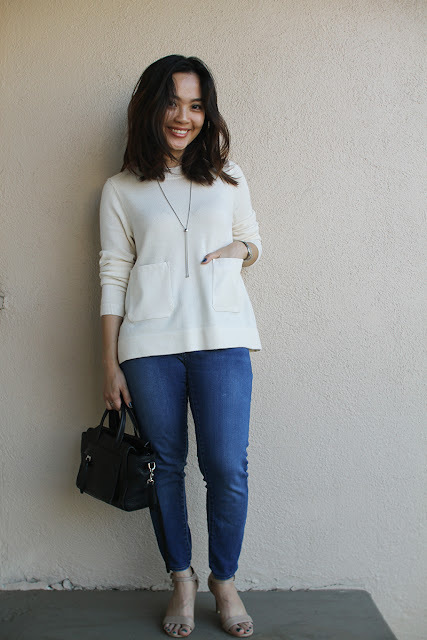 such a nice casual style! Lovely outfits! I especially love that white top with pockets. So cute! great outfit! I'm really loving those striped H&M pants! Aw love all of these! Great outfits!